The Six Principles of Client Protection were designed to be applicable to MFIs around the world, but while the principles themselves are universal, methods of achieving them vary widely. In researching different countries’ financial regulatory environments for the Client Protection Library, I’ve seen that there’s no single way to build a financial consumer protection system. The United States’ system is different from Colombia’s, Colombia’s system is different from Ghana’s, and on and on. Each country does it differently, and each system has aspects that you won’t find anywhere else. 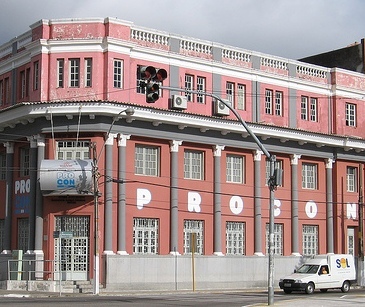 In Brazil, responsibility for financial consumer protection is shared by the central bank, the Justice Ministry, and small, innovative agencies known as PROCONs. PROCONs can be state or municipal bodies and they work with the judicial system to resolve conflicts between consumers and companies. These agencies illustrate an effective implementation of Principle 5, by offering consumers an avenue to redress their grievances with companies. But, the PROCONs don’t stop at Principle 5. They also educate consumers and protect their rights. The Sao Paulo PROCON compiles a list of service charges from local banks annually and publishes the information for the public to see. Through actions like these, Brazil’s PROCONs make sure the country’s Consumer Protection Code is more than just a set of ten principles hung on a wall in some government office. For more information on client protection in Brazil, check out the newly posted Brazil profile in the Client Protection Library. There you can read more about PROCONs, find out what the ten principles of consumer protection are in Brazil, and learn about the challenges the expansion of microfinance in Brazil has created for the nation’s consumer protection system.